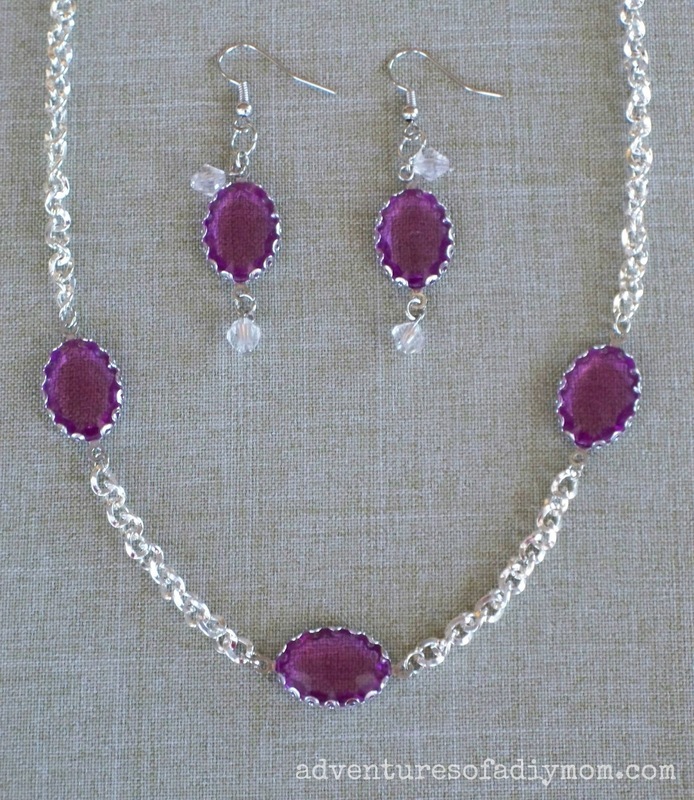 This violet necklace and earring set is perfect for spring. Both the earrings and the necklace are quite simple to make. 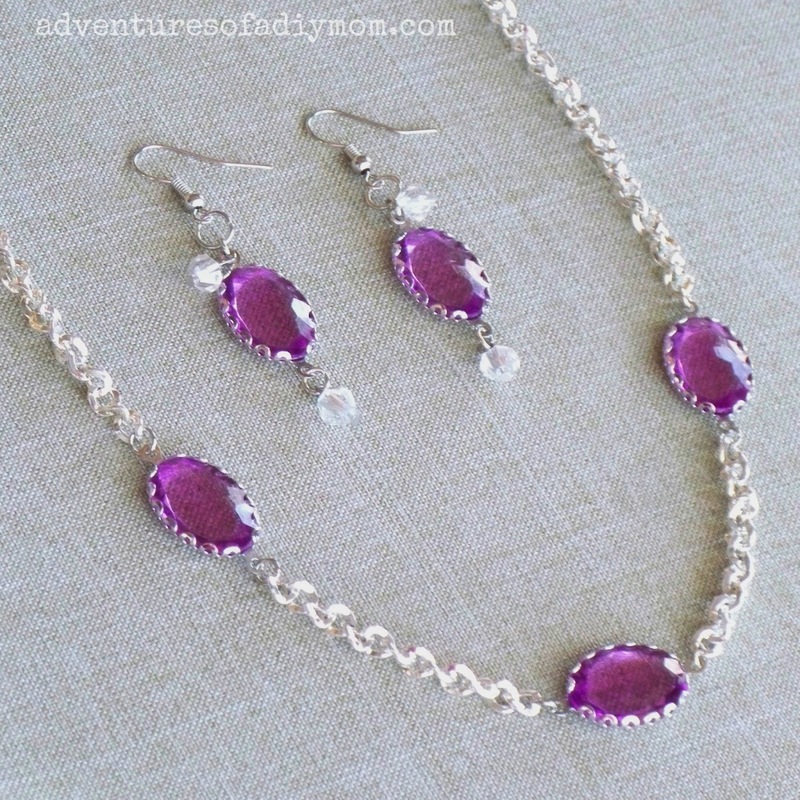 This set is perfect for the beginning jewelry maker. You only need a few basic jewelry making skills like opening jump rings and forming a loop. Lately my kids have been asking "what's your favorite color?, what's your second favorite color?" For me that's green, then purple. So when I got these purple connector beads from Prima Bead in my March package I was thrilled. 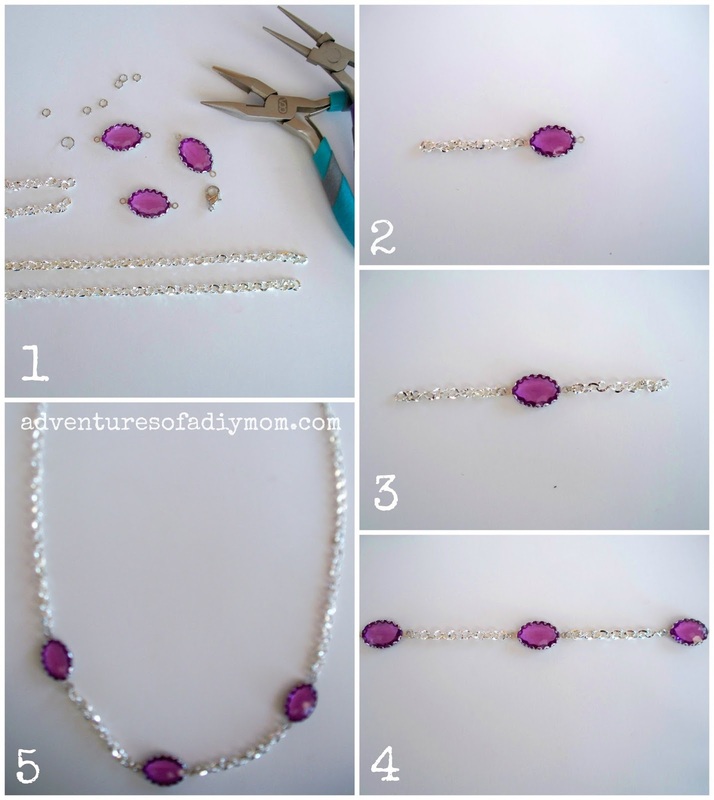 Want to make your own Violet Necklace? Step 2 - Using a jump ring, attach one of your small pieces of chain to a connector bead. Step 3 - Using a jump ring, attach your other small piece of chain to the other side of the connector bead. Step 5 - Attach the long pieces of chain to each connector bead. Add a jump ring to one end of chain and a clasp to the other end of the chain. 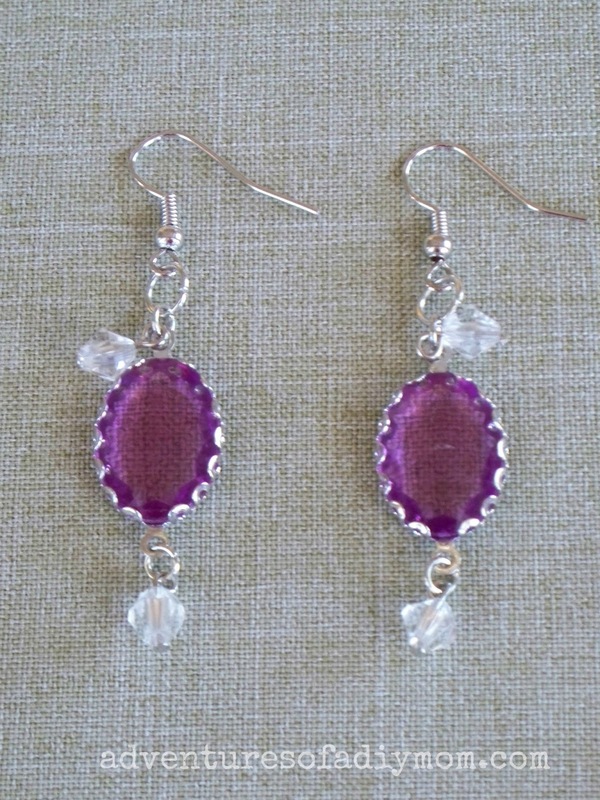 The earrings are super simple. Step 1 - Gather your supplies. Step 2 - String a bicone bead on each head pin and form a loop. Step 4 - Attach the earwire to the top jump ring using a large jump ring. So go ahead and give it a try. You can change the look by simply using a different style connector bead and chain. I am a Prima Bead Blog Team Member. I receive product from Prima Bead. 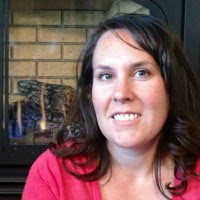 In return, I create jewelry or craft pieces from that product, and share about them through my blog and other social media outlets. All opinions expressed in this post are mine.